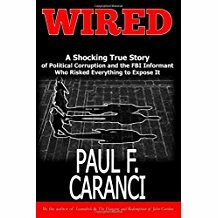 I’ve been putting together a summer reading guide for several years, but this is the first one that features special guest contributors. Steven Porter (SP) from Stillwater River Publications/Association of Rhode Island Authors and Susan Schlesigner (SS) from Books on the Square also added their picks to help fill your summer with the creativity and flights of fancy that come from reading. 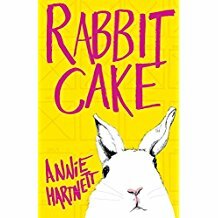 Annie Hartnett’s Rabbit Cake: Annie Hartnett’s debut, Rabbit Cake, is a truly unique tale told through the eyes of Elvis Babbit, a 10-year-old girl from rural Alabama, who is trying to make sense of the sleep-swimming death of her mother. 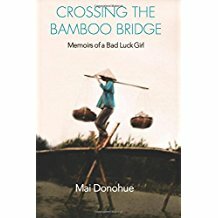 While Elvis seeks to explain her loss through medical texts, her older rebellious sister’s sleep-eating becomes out of control, and her father grieves by clinging to his wife’s clothing. Through it all, the Babbit family attempts to save one another as they try to heal. Rabbit Cake is an exploration of life, death, and how grief can tear a family apart and put them back together. 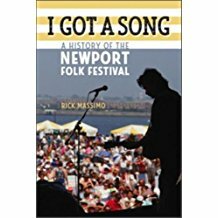 Rick Masssimo’s I Got a Song: Former Providence resident and award winning ProJo writer, Rick Massimo has written the definitive history of the Newport Folk Festival. Massimo covers the histories, characters and controversies of the festival beginning in 1959, its closure in 1971, and the revival of the festival in 1985. Founded by George Wein, the Newport Folk Festival featured amazing performers throughout the years including Pete Seeger, who was also a member of the board, Joan Baez, who made her debut as a teenager, the Staple Singers, Dar Williams, the Avett Brothers and more. Featuring interviews with Wein, Seeger and others at the heart of the festival, I Got a Song is not to be missed! 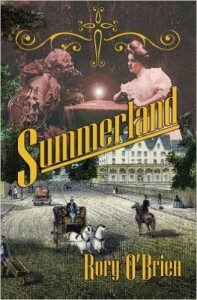 Taking place in Newport during the summer of 1893, Summerland is part detective story, part historical fiction and part surreal ghost story focusing on a medium that comes to town to entertain the high-class seasonal residents. Things are going well until a magician attempts to prove the medium is a hoax. Also, check out Phillippe & Jorge’s recommended recent release by a Rhode Islander who likes to sprinkle his work with local color: Wagstaff & Meatballs by Jim Berkin. And if you have little ones, consider the locally written and illustrated Johnny-Tremaine-esque education-disguised-as-entertainment, sheparded by a cute as the Dickens pooch, Tuggie the Patriot Pup, by RI’s Lauren E. Kelley – perfect for the approaching Gasbee Days celebration, which is the setting for one of Tuggie’s historical adventures. The little ones will also enjoy the award-winning, choose-your-own-protagonist fable Cinderella Spinderella, by RI storyteller Mark Binder.